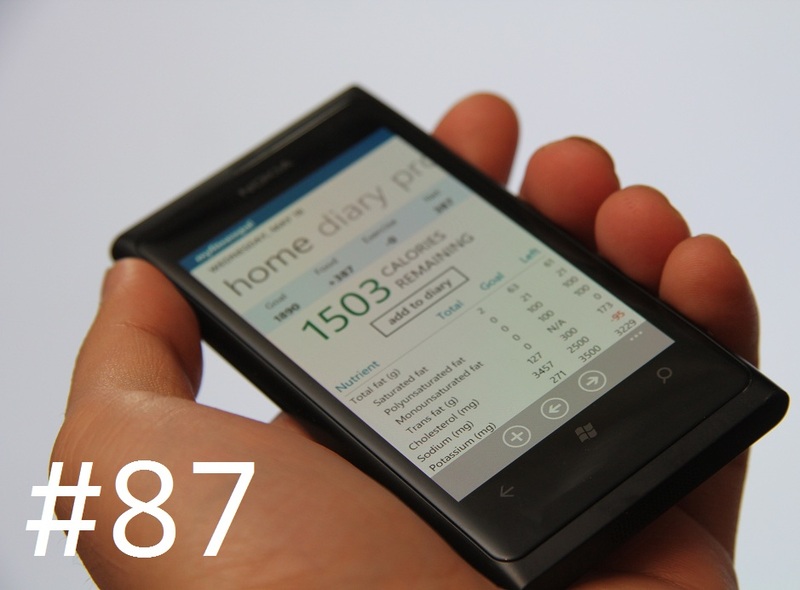 MyFitnessPal on the Lumia 800 is a great way to track your calorie and nutritional information intake perday, this app gives you a recommended calorie intake per day based on your current weight and age as well as your target weight. Personally I found it a great app to keep track of my daily intake; you’d be surprised how much calories are in a single burger!! MyFitness pal has a HUGE list of foods, drinks, deserts snacks and much more; even generic grocery store brands are found on it; the app also supports the ability to scan a barcode and call up it’s nutritional information rather than searching for it. Lose weight with MyFitnessPal, the fastest and easiest to use calorie counter for Windows Phone 7. With the largest food database of any mobile calorie counter (over 1,200,000 foods), and amazingly fast food and exercise entry, we’ll help you take those extra pounds off! There is no better diet app – period.